Lewis Hamilton looked likely to become the 2018 F1 world champion in the USA Grand Prix two weeks ago. However, unfortunately for him, things didn’t quite go according to plan. Because of this, the Mercedes driver was forced to hold out a little while longer. Fast forward to the Mexican Grand Prix a week later, Hamilton was finally crowned champion. While a fourth-placed finish wasn’t exactly what he was hoping for, the British driver did enough to get his hands on this year’s title. 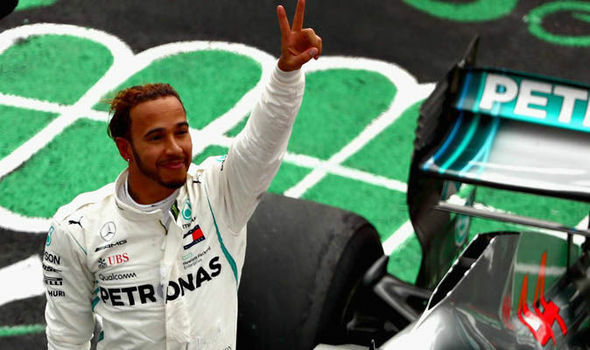 In doing so, the Mercedes driver reached a milestone only two drivers in history have been able to achieve – earning a fifth world championship within Formula One. Just in case you weren’t aware, the two drivers in question are the legendary Michael Schumacher, in addition to the late Juan Manuel Fangio. Michael Schumacher currently stands as the most successful driver in F1 history with seven titles. Juan Manuel Fangio, on the other hand, is now tied with Hamilton with five world championship wins. 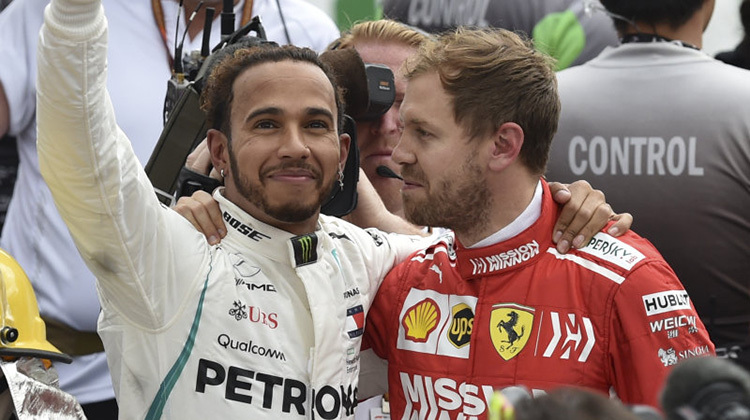 Throughout the 2018 Formula One season, it certainly hasn’t been plain sailing for Lewis Hamilton – more so in the early stages of the season. This was usually down to technical errors from his usually reliable Mercedes team, which caused Hamilton to drop below his fierce rival Sebastian Vettel in the Driver’s Championship standings. A particular low point was his poor performance in the 2018 Austrian Grand Prix in which Hamilton failed to finish. However, Vettel’s title challenge soon began to subside after a series of high profile errors which cost him dearly. Because of this, Hamilton was then able to lead the charge and gradually increase his lead in the Driver’s Championship. In the end, the chance for Vettel to earn his first world title with Ferrari became an uphill task. Ever since his win in the Belgian Grand Prix in August, the German has failed to earn the top spot on the podium. For that reason, it wasn’t surprising to see that Vettel’s title hopes began to gradually fade away. Ultimately, this led to Hamilton earning himself a fifth world title prior to the season’s final race in Abu Dhabi. It can be said that Lewis Hamilton is undoubtedly one of the finest drivers of his generation. The immense success he has enjoyed ever since he burst onto the scene is truly remarkable. His latest title win is just a reminder of this, as he continues to stake his claim as one of the most successful racers of all time. With several years still ahead of him in his racing career, he definitely has the potential to achieve so much more. In spite of this, Hamilton still has time on his side. So, it certainly wouldn’t be surprising to see him equal Schumacher’s record. Or, potentially even beat it. That of course, remains to be seen. The 2018 World Championship title may already be in the safe hands of Lewis Hamilton. But, there are still two races of the 2018 season remaining. With that in mind, it’s safe to say that we here at TheSportWriter.com can’t wait for the action on the circuit to return! It certainly has been a season to remember, with plenty of exciting events having occurred. More of the same is guaranteed in Brazil and Abu Dhabi in the coming weeks. So, be sure to tune in so you don’t miss out! What are your thoughts on Lewis Hamilton’s title win? Do you think he has what it takes to equal Schumacher’s record? Let us know your thoughts in the comments section below or on Facebook, Twitter, or Instagram.